Steve Orlando really seems to love the DC universe. 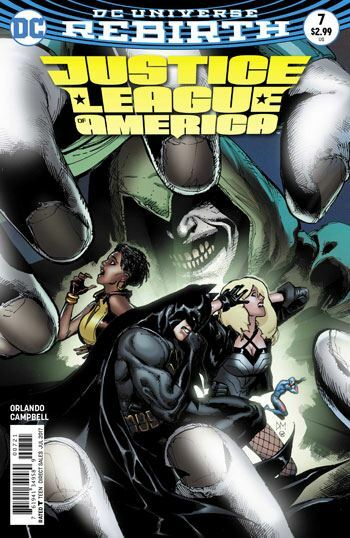 In the latest issue of Justice League of America he digs all the way back to the dreadful Bloodlines crossover event to root out Terrorsmith, and then makes the character into a really decent villain. Honestly, I know I read the annual that introduced Terrorsmith, and I recall the cover of it, but not much more. That’s ok. Orlando doesn’t even require one to have that much familiarity with Terrorsmith, although he does give a very nice cameo to the skull of Glonth, the alien that transformed the man. 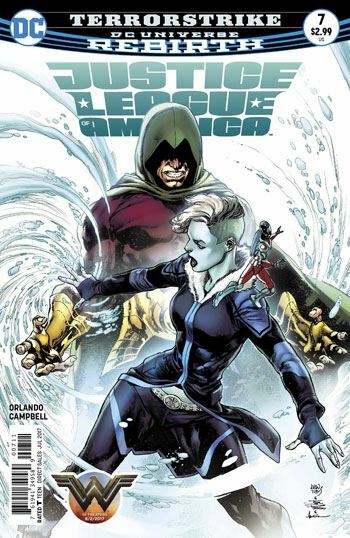 Really, the centre of attention in this issue goes to the Atom and Killer Frost. They head to the Museum of Unnatural History to examine a baby frozen in the ice, in hopes of discovering some insights that could aid them in curing Killer Frost of her condition. Terrorsmith shows up, for reasons of his own, and the two heroes have to deal with him, as well as the security guards that he turns into monsters. Incidentally, I really hope we get to see the Museum of Unnatural History again, and see more of the exhibits. Jamal Campbell does some very nice art on this story, rendering it in what almost feels like watercolours, but he is not the kind of artist who loads his panels with details. I would have loved to have seen far more of the exhibits in the background. The rest of the team get only small parts in the issue, though all of those are quite good. Black Canary not only gets stuck in a bar brawl with Lobo, as he fights against a version of Mr. Scarlet that looks a lot meaner than the Fawcett character originally bearing that name, but also gets a decent discussion about relationships with Killer Frost towards the end of the issue. A very entertaining one off tale.